Please join Natalie’s Sunshine Team at the Sacramento FARE walk on Sunday, Sept 7 at Southside Park. Once again, we will be walking in Natalie’s memory to help raise awareness on the dangers of food allergies. 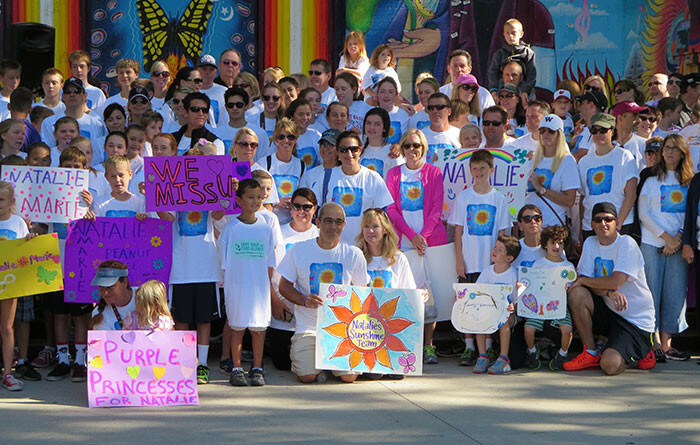 Last year, Natalie’s Sunshine Team raised over $25,000 in Natalie’s name for FARE. We were truly touched and overwhelmed by the outpouring of support. Please consider joining us this year as we honor beloved Natalie, continue our mission to help all children with food allergies and spread sunshine.